Few generals proved themselves better than Scanderbeg. 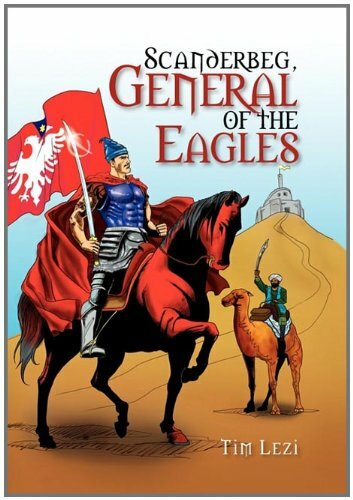 Leader of a small army of Eagles, at the height of its power, he single-handedly could be said to have saved Europe from the jaws of the Ottoman Dragon, when a heartless Mehmed II, the Conqueror, had already captured Constantinople and wanted to carry Rome to achieve universal victory over Christianity. He would have achieved his purpose had not Scanderbeg, an Albanian Christian General, not put an obstacle to his march in Albania, for about a quarter of a century. After Scanderbeg's death, the Albanians continued their resistance for another decade. Thus, Mehmed II was delayed long enough to thwart his plans. He managed only to start his Italian invasion, and when he died his mission died with him. World-famous individuals, painters, like Bellini and Durer, composers like Vivaldi and Francour, philosophers like Voltaire, poets and writers like Longfellow, Byron, and Holberg, generals like Wolfe, and popes like Paul II, have all been generous enough to dedicate a part of their work to this great general. Yet, surprisingly many historians have maintained silence about Scanderbeg's fame as a general. This ingratitude brings pause to any with the knowledge regarding such a great general, one who met such success and performed so brilliantly as to be recognized among the greatest generals of all time. He was the principal deterrent in stopping the Ottoman expansion westward and in that, he was the true defender of Christendom from the danger of becoming totally Ottomanized. If, for such great deeds, he does not deserve to be mentioned in world history, who does? Tim Lezi is the author of two historical novels; both are based on factual accounts. The first one, entitled An Eagle Heart, is the story of an intrepid Christian woman who beseeched President Wilson to save Albania from dismemberment at the end of WWI. 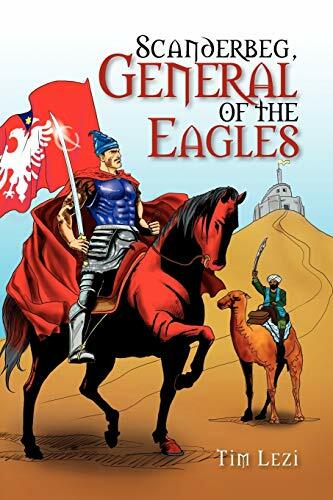 The second novel, entitled Scanderbeg, General of the Eagles, recounts the story of the Albanian hero, Scanderbeg, who saved Western Europe from the Ottoman Occupation during the fifteenth century. Tim Lezi makes his home in Santa Barbara, California.